Need help to get you Taiwanese visa? Welcome to the complete guide for obtaining a visa for Taiwan! Do you need a visa to visit Taiwan? How to get a permanent resident certificate (APRC). If you have a passport from a country belonging to the European Union, or an Icelandic, Israeli, Japanese, New Zealand, Norwegian, Swiss, or American passport, or a passport from Liechtenstein or the Principality of Monaco, then you can enter Taiwan without a visa and stay for a maximum of 90 consecutive days. 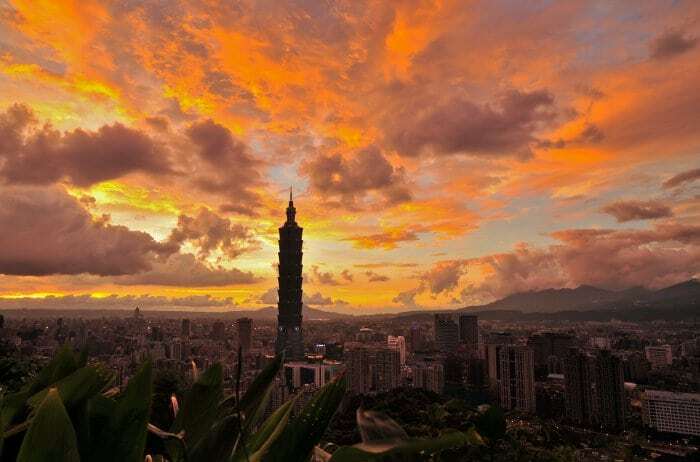 If you have an Australian, Canadian, Korean, Malaysian or Singaporean passport you can enter Taiwan without a visa and stay for a maximum of 30 consecutive days. Own a passport that is valid for at least six months. Own a return-trip air ticket. Have a clean police record in Taiwan. Those with an Indian, Thai, Filipino, Indonesian, or Vietnamese passport that have a resident’s permit or a valid visa for Canada, the United States, the United Kingdom, Japan, New Zealand or Australia can enter Taiwan without a Taiwanese visa and stay for a maximum of 30 consecutive days so long as they meet the criteria listed above and possess an Authorization Certificate, that can be requested online at Taiwanese Immigration Office web site. If you own a passport for a country that I haven’t already listed or if you would like to stay in Taiwan for a period longer than the exemption (from 30 to 90 days) then you must apply for a visa at a Taiwanese consulate or office of representation (you’ll find the entire list here). These visas are granted to those who come to Taiwan for tourism, business, schooling, work, marriage or family reunification. A visitor’s visa lasts between 15 to 90 days (depending on your home country). So long as it does not contain the wording “No extension”, it may be able to be renewed another two times in Taiwan, for a maximum length of 180 days. A copy of the application form, that you must fill out online at site of consular affairs of Taiwan, print and sign. Two recent photos (passport format). The passport and a photocopy of it (valid for a period of at least six months). A letter from the company you work for (necessary only for business visas). Any other document they might ask of you. A visitor visa costs 50 USD (160 if you own an American passport), is issued within one business day and expires if it is not used within 90 days of the date of issue. It is also possible to apply for a multiple visa with a maximum length of 60 days for every entry. That visa costs 100 USD (160 if you have an American passport). A copy of the application form, which you must fill out online at Web site for Taiwanese consular affairs, print and sign. Your passport along with a photocopy of it (valid for a period of at least six months). An admission certificate issued from a linguistic center affiliated with a university or from an institute accredited by the Taiwanese Ministry of Education. You would then be able to enter Taiwan without a visa and stay for 90 consecutive days. A bank statement or another document that proves that you have the economic ability to provide for yourself in Taiwan. The visa allows you to stay in Taiwan for 60 days (but may be renewed while there), costs 50 USD (160 if you have an American passport), is issued within one business day and expires if not used within 90 days from the date of issue. If you intend to stay for a maximum of 180 days, you can renew your visa two times (so long as you remain enrolled in the school). If instead you intend to remain more than 180 days, apply for a resident visa (and an Alien Resident Card, ARC). The resident visa and ACR can be requested beginning with your 121st day in Taiwan on your student visa. Important: while in the past it was possible to obtain a student visa and stay in Taiwan also for long periods without going to school, today it is no longer possible: to get – and renew – a tourist visa, you must enroll in a course of at least 15 hours a week. If you skip 11 or more hours of lessons in a month, the immigration office will refuse to renew your visa. Document of enrollment from the school. Document showing the hours you were in class the month before renewal. Document showing the hours you were in class the month of the renewal (necessary only if you are renewing your visa after the fifteenth of the month). Passport and photocopy of the passport. How can I get a work permit, a resident Visa and an ARC? We’ve already seen how one can get a resident visa and an ARC (Alien Resident Card, or the document that allows you to enter and exit Taiwan without needing other visas, to live there, to enter the national health system, etc) as a student. If however you intend to work in Taiwan, the procedure is a bit different. In particular you must arrive in Taiwan (for example on a visitor or work visa, for which an invitation is necessary), find a job, get a work permit (which you must get from your Taiwanese employer, how it goes in China), get permission to live in Taiwan long-term (or a resident visa, which again would come through your employer) and, lastly, obtain an ARC (which you can apply for at the immigration office once you have your work permit and resident visa). Many foreigners come to Taiwan to teach foreign languages. Important: The only way to legally work in Taiwan is to have a work permit. As was already mentioned, it is your employer that must request the permit, presenting their business license, your contract, your resume and your passport to the Labor Department. To get the permit requires several weeks, and until you get it, you can’t work. If you found work before coming to Taiwan (perhaps you found it on the internet) you can ask your employer to request your permit right away so that it will be ready when you get there. In this case you can begin working right away. One last note: a work permit is valid only for the company that has requested it. In the event that you wish to change jobs, you must first find a new employer that will request another permit on your behalf. Can I get a visa while I’m already in Taiwan? Yes, in certain circumstances it is possible to come to Taiwan without a visa, obtain a work permit and apply for a visitor visa. When applying for your ARC you must however change your visa (from a visitor visa to a resident visa). If you are married to a Taiwanese resident you can apply for a Joint Family Residence Visa (JFRV). If more than simply living in Taiwan, your wife (or your husband) is also a Taiwanese citizen, then the JFRV also gives you permission to work. If you manage to keep your ARC for five continuous years (as an employee, not as a student) or your JFRV, then you may get an Alien Permanent Resident Certificate (APRC). This document will allow you to reside in Taiwan and work at your leisure without requiring an employer to sponsor you. Thank you for answering, however later I realized it was not the Visitor Visa I meant. The one I meant was the Visa-Exempt entry (that for example many EU countries have access to). Thank you for the article. My question is: is it possible to enter Taiwan on a Visitor Visa, get a work permit inside Taiwan, and then change the visa status to a Resident employment visa? Hello David, what we know it’s on the article! If i get student visa for internship for 6 months at taiwan from india, can i extended my stay for another 6 months or more. what should i do in this case ? If you’re a foreigner with working in Taiwan with a resident’s visa, can you visit the mainland without needing a tourist visa? hi, i am from a holder of a ghana passport and wish to visit taiwan for a week. what are the requirement for a ghanaian passport holder? Savvy blog post , I Appreciate the information . Does anyone know where my company can access a fillable CA CDE B1-1 example to fill out ? I want to ask question to make sure, im indonesian people who studying in Japan i have japan visa as a student. Do i need a visa for travelling to Taiwan ? Hey man. Love your website. I’m studying a Undergraduate degree via Distance with a University in New Zealand. With this as a New Zealander I receive a weekly allowance roughly NTD $21,204 per month. As I wont be seeking work and only studying, and I will be receiving weekly funds and have significant savings. Do you believe that I could apply for and receive an ARC? This would allow me to have a bank account, sign a rental lease and not have to do VISA runs every 90 days. PS I am studying International AgriBusiness and Chinese. Hi there – thanks for putting together all this info – it’s really useful. Do you know if there are any restrictions which prevent you simply leaving and re-entering Taiwan every 90 days using the visa exemption you described at the beginning of the article? I’m a UK citizen. Hi, i am a malaysian, i understand that i have 30 days visa free to be in Taiwan. But if i wish to stay longer, can i apply for a visa so that i can stay for another 30 days. Tqvm for your help. I guess you can, ask to the Taiwanese visa office! Hello, just thought you might be able to pitch in your thoughts on my situation. I’m Vietnamese with a Resident Card in Japan, and I’m planning to visit Taiwan for 3 days before heading back to Vietnam. The Taiwanese Immigration website says I do not need to get a visa to visit Taiwan, and that I only need to get the Travel Authorization Certificate, because I possess a Japanese Resident Card. However on their website it also says that ‘working visa not included’ – on my Japanese Resident Card, it says my status as an Instructor. Do you think the Taiwanese immigration will consider my Resident Card (it is essentially one, and that’s how the Japanese call it) as a Resident Card, and not a working permit/work visa, because it serves the same purpose to the Japanese immigration/government? I hope you can help me out. Thanks in advance! I dont think the two things are connected. If you want go to Taiwan, you need a visa for taiwan, not China! Hi Darren, I have the exact same problem! I live and work as an english teacher in China and want to visit Taiwan. I found your question here(see it is dated 2016). May I ask how you managed to get a visa for Taiwan in the end? Any advice will be greatly appreciated. Is there any taiwan consulate or embassy where can apply a tourisr visa? I am a philippine passport holder working in Beijing. I need to know what are the documents do i need to prepare. Your kind help is much appreciated. We are in the same boat, my friend. The only difference is that I’m Brazilian and I’m living in Shanghai instead. Taiwan situation is so fucked up that it is actually a hard thing to get a visa and go there. They have really few offices around the world where a visa can be issued, and Mainland China is not one of those places. I have researched a lot lately about the matter and it really seems the only solution is to go to Hong Kong and apply there. However, if I have to go to HK for a visa, I might as well just stay there instead of going to Taiwan. I have been trying to find agencies that could do the paperwork for me so I would not have to go to HK, but up until now I got nothing. I would be very pleased if you could share your present and future findings on this matter here, for it would help me a lot. Cheers! I’ve already served 12 yrs. Workung as a factory worker in taiwan but my boss asked me if there’s still another way to senr me back ti work inspite of 12 yrs limit of an overseas contract worker, thanks!. How can I get visit visa to Taiwan , I’m in Pakistan no embassy here , can send all the requirements to the Hong Kong office ? How much is the price of working permit for Taiwan when applying in TECO bangkok? Hello, ask in Bangkok, we don’t know these details.